For a large part of its long runtime, Christopher Nolan’s The Dark Knight Rises is riveting and conjures up messy themes and moral paradoxes that question the assumptions of the genre the film belongs to. The canvas is bigger than ever in the trilogy, the narrative knottier and the possibilities richer. The film is marked by a preponderance of vertical movements – Bane’s ascent from the sewers, Wayne’s escape from the pit, the Batman’s flight from the cops – and I guess one could tenuously map this to the notion of a Freudian return of the politically (Gotham’s seemingly huge underclass) and psychologically repressed (Wayne’s childhood trauma). But The Dark Knight Rises pursues no such apple-cart-upsetting ideas to completion and instead chooses to couch itself in the rarefied realm of Batman mythos, where the stakes for the non-fan are nearly non-existent. Nolan’s film channels everything from the Old Testament (Gotham as Sodom, Blake as Noah, the plagues, the Great Deluge), through the French and the October revolutions (the storming of Bastille, the twilight of the tsars), to the recent Occupy movements in America in a way that only politically non-committed studio products can afford to. That does not, however, mean that the film has no political viewpoint. Vehemently reactionary, The Dark Knight Rises nearly reduces every issue to a question of bad parenting. 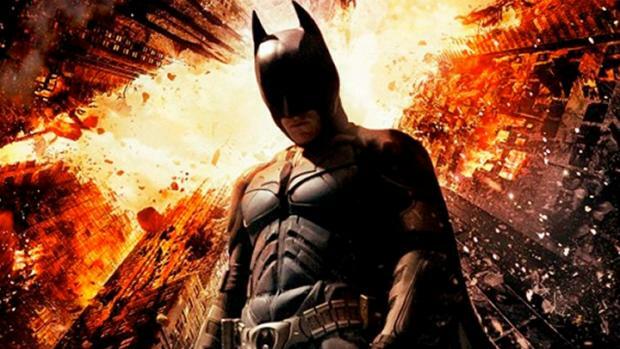 The film is rife with appeals for the need of responsible fathers and father figures, with the incurably paternal Batman being something of a godfather overlooking his hapless Gothamite children. (There’s a chuckle to be found when you see Gordon unveiling a statue of the Batman). And yet, I’ve not seen a film as classically solemn and tonally consistent all this year, with all other movies coming across as glorified sitcoms in comparison. Well, that’s the greatest review you could’ve written for my choice for the best movie of 2012 I’ve seen so far. Good work. Though I had problems (big!) with the movie myself, I was glad to see something that puts stuff like THE AVENGERS in its place. Srikanth, I could not believe my eyes when I saw that statue.That sort of a thing can easily inspire a ton of send-ups in our not-so-serious sitcom-blockbusters, and it really needs some guts to go out there with it. Singer went ahead and made his Superman a Christ-like symbol, and that didn’t go down all that well. When I saw the statue unveiled the first time around, I was completely “whoa!!”. I mean, making a live-action real-world-problem-stuffed interpretation of a comic book character is fine, but to extrapolate a comic image or a toy/action-figure to a statue/state-symbol is so balls-out crazy there’s no other way to react but to chuckle. The interesting thing it feels so tonally consistent and logical with the rest of the film. But to have it there, a statue of Batman (I still cannot stop my chuckle) is really a hell of a lot of conviction. I mean the very year Abraham Lincoln is busy chopping vampires, you have the Batman memorial. They really took the “Knight” thing seriously. Still, that has to be a zillion times more daring than claiming you’re amazing by literally including it in your title. Hahah! And that comment made me laugh harder. Yeah, history is replacing comic books and comic books replacing history. The end is nigh alright. Agreed. The film clearly has a conservative viewpoint (traditional/European-style conservatism, focused on social cohesion, hierarchy, and tragic duty rather than neo/American/libertarian-style conservatism, which is one source of confusion for the “but it takes both sides!” brigade). Yet it rather timidly refuses to follow its viewpoint through logically, and condemn the rabble whom it paternalistically presumes need a shepherd. As Bob Clark put it, the film condemns populism but “it’s a populism without crowds”. I actually quite enjoyed the film, but ultimately its flaws and drawbacks tend to provide more food for thought than its more ephemeral pleasures. This, I gotta read, Joel. Many thanks for the link. I will be on it.